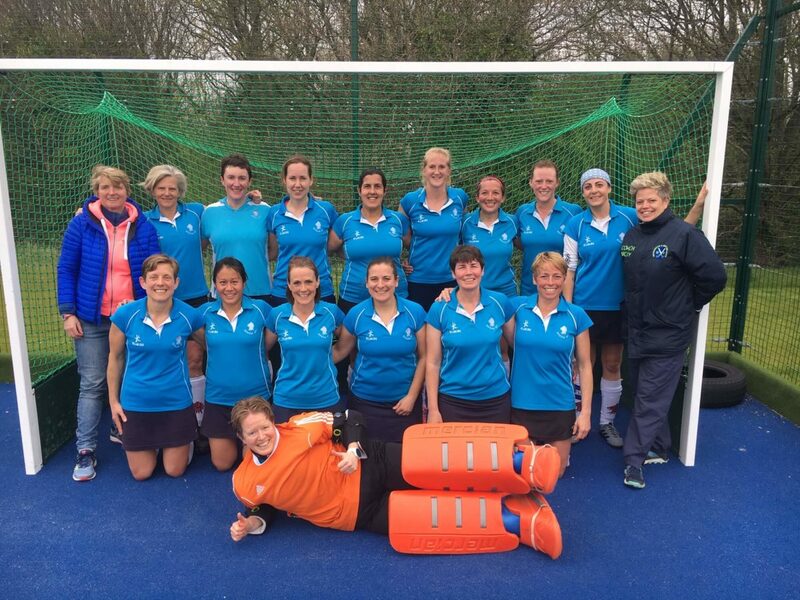 Congratulations to our LO35s who have reached the Investec Women’s Masters Championship Final for a second time in four seasons, this time as Tier 3 Finalists. The Road to Lee Valley began back in December with a 3-0 away win at close rivals Woking HC. Subsequent away rounds to Tulse Hill & Dulwich and Andover didn’t faze them with plenty more goals scored on the road. As soon as the semi-final draw was announced the team were relishing a home tie at Old School’s Lane against visitors, Sale HC. With a 2pm start there was plenty of time for supporters to gather from both teams. Epsom began the match well with plenty of possession and, were it not for some great saves from the Sale ‘keeper, the home side would’ve been more than 1-0 up at half time. A period of sustained pressure at the beginning of the second half saw Epsom stamp their authority on the game. Sale continued to defend in numbers but the home side’s excellent attacking play created plenty of shots on goal (not all on target!) with several opportunities to increase their lead. Two further goals put Epsom on the brink of clinching their place in the final and they sealed their win in the dying minutes with Captain Claude bagging her hat-trick after another flowing move down the right! Well done to manager Clarkie and the amazing efforts from all the squad in securing Epsom’s place in the Tier 3 Final. A huge thank you to all our supporters on the day, you kept the team going! Thanks to Sale HC and the umpires (Simon & Deborah) too for an enjoyable game of hockey. The Investec Women’s Masters Championship Finals day is on Saturday, 27 April. Expect thrills, spills and drama, plus plenty of fab hockey! Purchase your ticket for a full day of hockey which includes GBR v USA, the first home match of the 2019 FIH Pro League. Epsom HC LO35s have scored 22 goals so far with none in reply. Here’s hoping for more in the final v. Oxford Hawks. Come and cheer our ladies on! Push back is at 18.00. Supporters welcome. Thank you!